Being raised in a strict religious household, I was only allowed to read religious materials. The familiarity of those images and texts comforted me, yet I longed for the freedom to question their meaning and wisdom. As a result of my upbringing, I had an intense fear that if I was not good enough, then I would be left behind. 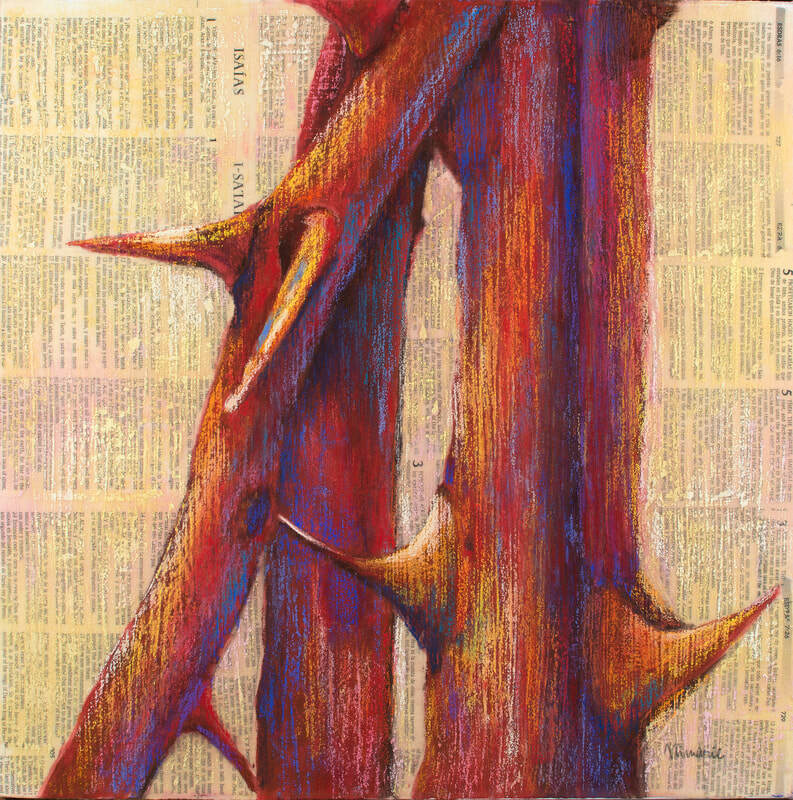 In this painting, I use Bible letters as I explore issues of spirituality and struggles that came from choosing my own path.